Strip Built Petrel in western red cedar. 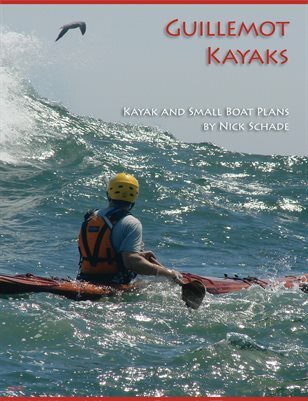 Nick Schade has been designing and building high quality, high performance sea kayaks under the Guillemot Kayaks name since 1986. His boats have paddled the bold coast of Maine and exhibited in the American Craft Museum. His work has garnered the first place award at the Washington Craft Show. One of his kayaks is now in the permanent collection at the Museum of Modern Art. They are suitable for riding late-season hurricane generated swells or for display in a post and beam great room. They are designed by a dedicated kayaker seeking to achieve the highest performance standards and built by a craftsman who feels that beauty and performance go hand in hand.